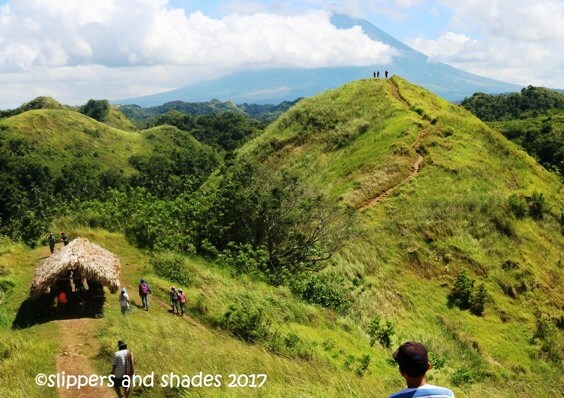 Among the 11 cities to choose from, we chose Negros Island which is known for its friendly and soft-spoken people. 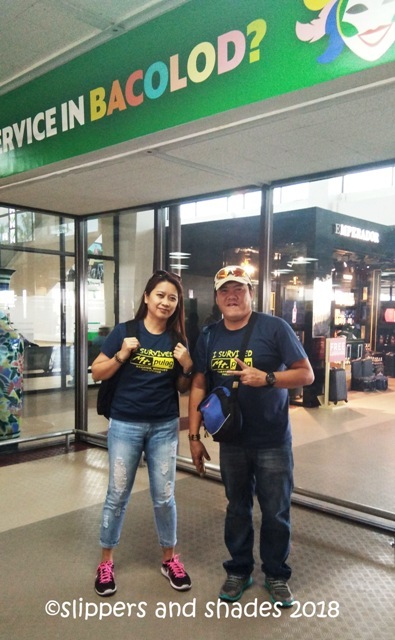 Our plan is to enter Bacolod City and will exit in Dumaguete but as per policy from PAL, we cannot book our two-way flights in different destinations. Indeed, we will embark on a long and tiring trip from and to Bacolod. But the individual charm of Manjuyod White Sandbar, Sipalay City and Bacolod beckons and so we must go! 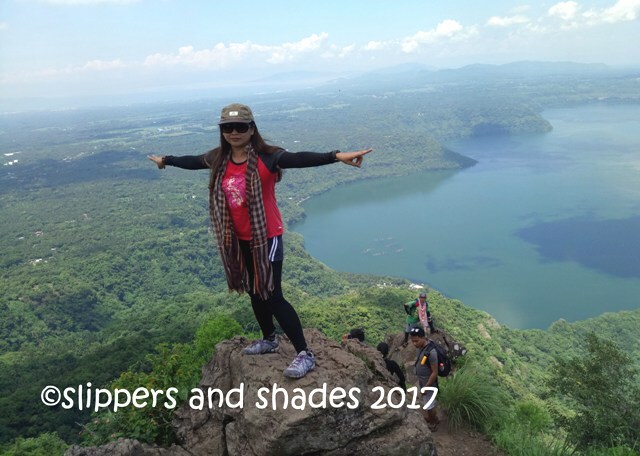 Before we proceed with the road trip, let me tell you a bit about Negros Island. Negros Island is the second largest island in the Visayas and the fourth largest islands of the Philippines with a land area of 13,309.60 square kilometers. 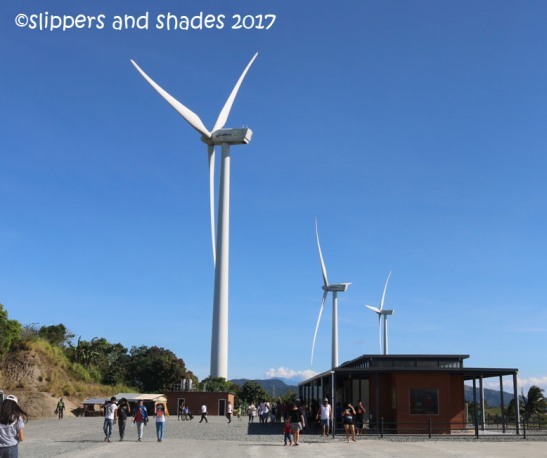 It is politically divided into two provinces: the Negros Occidental and Negros Oriental. 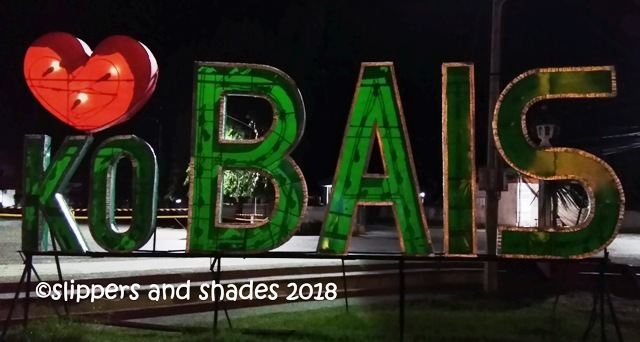 Bacolod is the capital of Negros Occidental and designated as part of Western Visayas whereas Dumaguete is the capital of Negros Oriental and is designated as part of Central Visayas. So now, here we go with our 4-day trip in Negros Island. We arrived at Bacolod-Silay Airport at around 11:50 am. We boarded a shuttle van for almost an hour trip (Php150/head) in getting to Ceres Liner-South Terminal. By the way, Ceres buses are the only bus company that operates in the whole Negros Island with regular hourly departure schedule. Our first destination is to visit the Manjuyod White Sandbar where the drop off point is Bais City. So upon arriving at the terminal we had a quick lunch to catch the 2:00 pm bus trip bound to Dumaguete (Meal-Php160). I enjoyed the trip seeing the laid-back scenery, the simplicity of life in the province and the sprawling sugarcane fields. The first stop-over was in Hinigaran for bio breaks and the last was in Kabangkalan where all passengers can eat early dinner. We arrived at Bais City at around 7:15 pm. It was a pleasant evening as we went to the town proper looking for a unique restaurant that offers food that is authentic to Bais. Since it was nearly closing time, eateries had few viands to choose from. We strolled further north only to stumble to the famous food chain Jolibee. Hahaha! (Meal-Php267). 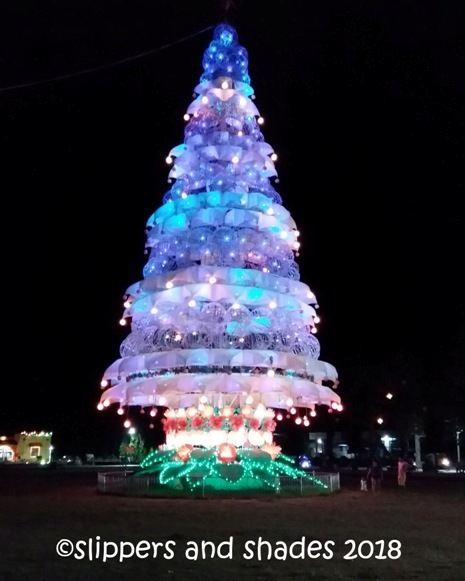 After a hefty dinner, we walked in the park and were surprised to see the huge, colorful, well-lighted and spinning Giant Christmas Tree. It was already February and yet, the Christmas ambiance is still huddling the city. We stopped for a while and watched it spinning gracefully. It was so nice to see the city of Bais which is known for whale and dolphin watching. And not only that, this is also the cleanest and safest place in the province of Negros Oriental. After walking around and mingling with the locals, we went back to Casa Sandoval to catch enough sleep for the next day’s activity. Casa Sandoval is easy to find as it is along the national road and is five minutes away from the town center. Our room (air-conditioned Superior Room) is good for two persons. It has one double bed, own bathroom, cable TV, divider for our stuff and toiletries (bathroom tissue and small soaps). 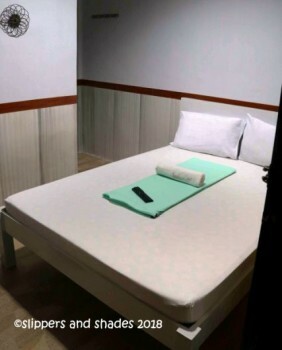 The room was clean but has low cooling temperature and slow WI-FI connection. Rate-P1,000. 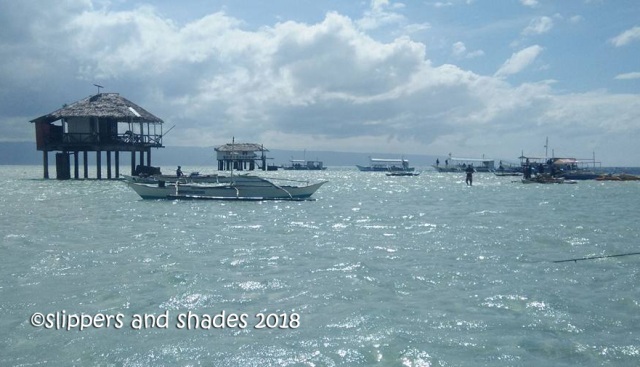 I’ve been itching to visit Manjuyod Sandbar for quite some time to see its famous sandbar that draws lots of tourists every year. We were fetched by Mark Anthony, our contact boatman the following morning at around 5:45 am. But since we can’t squeeze at his single motorbike, we boarded a tricycle in getting to Canibol Wharf with ten minutes travel time. (Php50). When we reached the wharf we had a breakfast of coffee and the sweetened suman for Php76.00 only! It was cheap but so yummy! Then we boarded the boat and in twenty minutes we were in the sandbar where the water is on its knee-deep level. 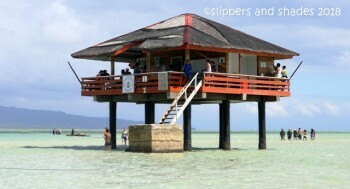 There we saw the five iconic huts on stilts. We waded on the water and went to the area where the tide started to recede. The entire stretch was vast. The view was amazing! It was so nice to walk on the soft creamy white sand. We spent almost an hour savoring the majestic sand. 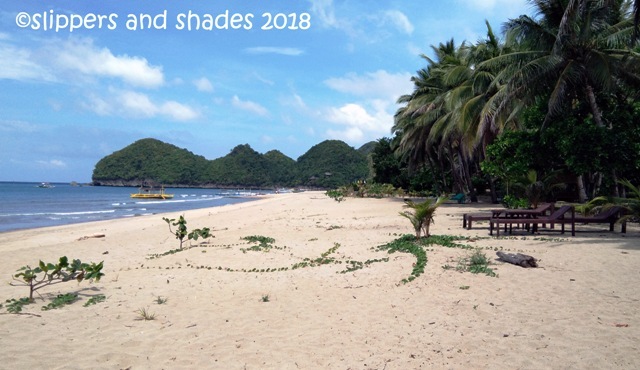 But we missed out seeing sandbar in its full glory for we went back by 10:00 am at Casa Sandoval to prepare for our Sipalay tour. Anyway, we had our fill of the clean and clear water before we leave. 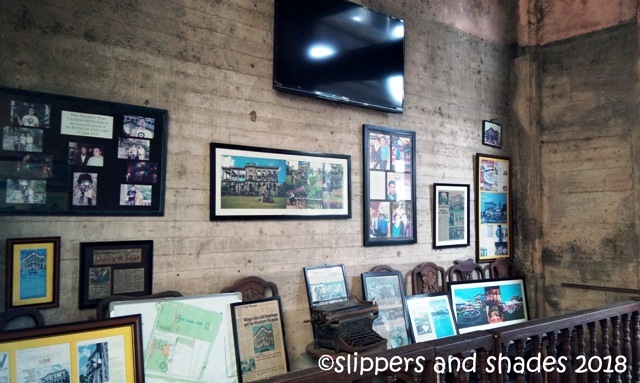 We checked out by 12:00 noon and ate in an eatery at the town center (Meal-Php160). After our lunch, we boarded an ordinary bus in getting to Dumaguete (Php57/head) to catch the trip that goes directly to Sipalay. But sad to say, we missed that trip so what we did, we boarded an air-conditioned bus bound to Bayawan (Php85/head) then we transferred to Hinobaan (Php85/head). But then we missed the 5:30 pm last trip going to Sipalay. What a day! The tricycle drivers offered us Php500 for a special trip. It was just in time that our contact local tour guide Roland Dequina from Sipalay texted us of our whereabouts. When we told him that we missed the last trip, he volunteered to fetch us in the terminal for Php300 only, much cheaper than what was offered to us few minutes ago. The long trip and bus hopping were so tiring, not for me but for my hubby. 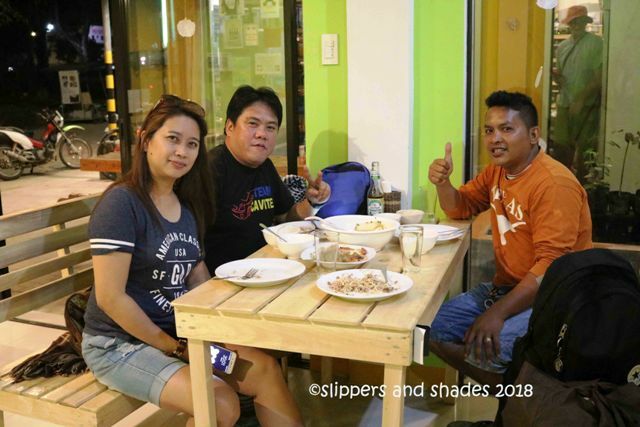 And to whisk off his unpleasant experience, we cupped up the night with delicious food at Sipalay’s Jewel’s Pizza & Seafood Restaurant located in the city. He forgot the worn-out guy he was a few hours ago. Hahaha! (Meal-Php460). We had a nice time eating and chatting with Roland. He was so kind that he brought us at Sealey’s Inn where we will spend the night with. 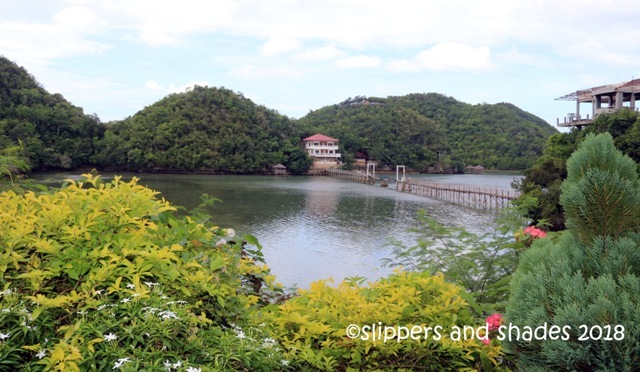 We woke up early and took a morning walk along the brown shore of Sipalay. It was a clear, calm morning and it was so tempting to swim. But we have to catch up with our call time with Roland at 7:00 am so after few minutes of savoring the quiet moment at the beach, we went back at Sealey’s Inn and ate fast. Our breakfast meal: two tapsilog with two 2-in-1 coffee (Php170). 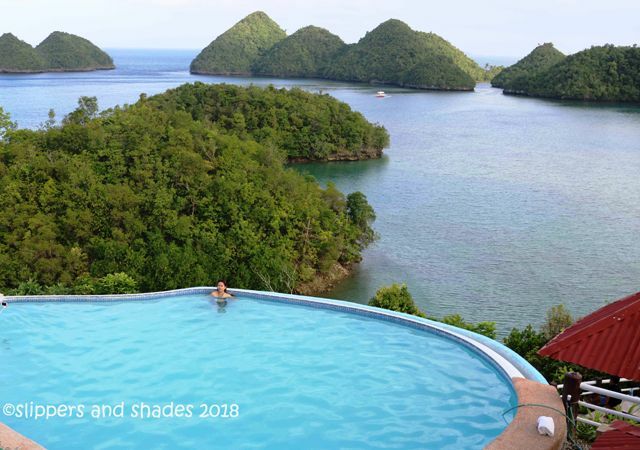 Perth Paradise Resort is the top tourist attraction in Sipalay City because of its impressive cliff view and its easy access coming from the main road. It’s good that we came so early because the pool was not packed by bathers yet. Indeed the view in the infinity pool was really amazing. But the pool wasn’t big as I expected. It cannot accommodate a large assembly of bathers. Before it gets crowded, we hastily dipped into the water and found so much delight watching the view. I never imagine that Siplay has these amazing islets which look like Hershey’s chocolate from afar. Another interesting tourist site to visit in Sipalay is Tinagong Dagat. This is also accessible coming from the main road. 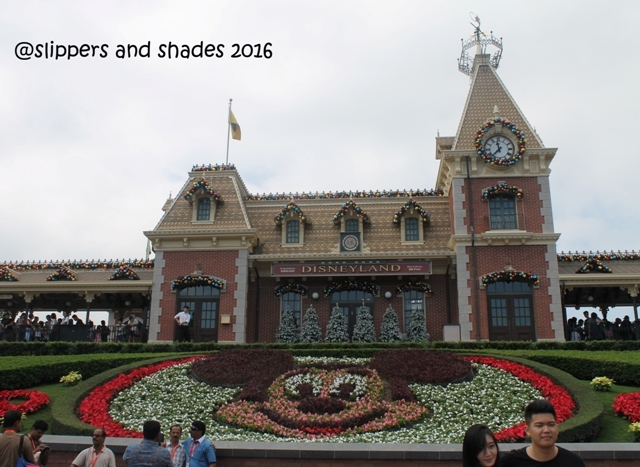 The initial thrill will start from crossing two wooden bridges and will climb the 123 steps in getting to the top. From there, our eyes feasted the awesome view of the literally “hidden sea” enclosed by islets covered with verdant vegetation. 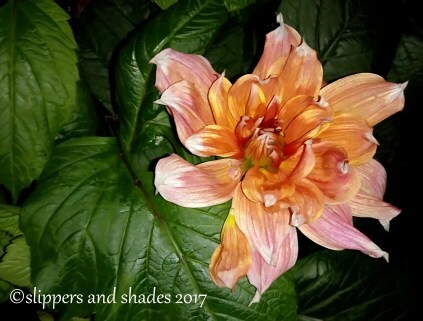 The wondrous sight could be best viewed at the peak. The air was so fresh and the view was simply amazing. The last hanging bridge connecting the islets is the most photographed spot in Tinagong Dagat. Now I have pictures of it and I was so happy! 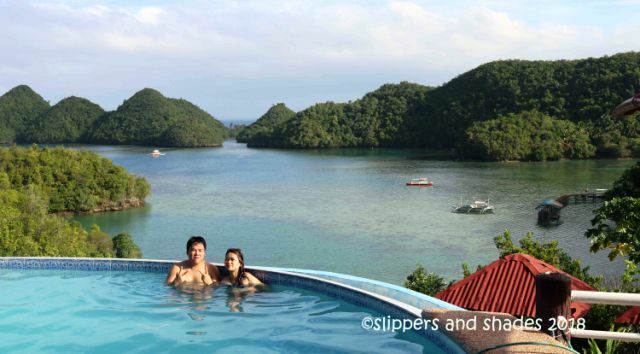 This is the last leg of our Sipalay tour. Coming from Tinagong Dagat it took us forty five minutes in getting to Barangay Nauhan, the jump off point in getting to the beach. We hired a banca for Php500.00. The boat ride was a bit bumpy but it was just fine because travel time took us fifteen minutes only. Sugar Beach had a brown sand but its texture wasn’t as fine as the sugar and gets darker when wet. The beach had a wide stretch dotted with coconut trees and other trees making it more tropical. The presence of the islets added a dramatic backdrop for picture taking. Sugar Beach has several resorts available and they also offer water activities like island hopping, scuba diving and paddle boarding. Our room (air-conditioned Double Room) was small but cute. It has one double bed, cable TV, private room, small table for our bags and toiletries. Their cooling temperature was fine but their WI-FI facility has slow connection. Rate-Php900. After a half day tour and a hearty lunch (Php424 with our tour guide) in Sipalay, we now head off to Bacolod City, the last leg of our trip. We were planning to go to Lakawon Island but we already miss the last boat trip by 5:00 pm. If we persist in coming we will pay for the Php1,000 special trip. It was so pricey for us so we chose to spend our last night in the city. From Sipalay we took the Ceres Liner bus bound to Bacolod City and reached our destination in five hours (Php265/head). We were already tired and just want to eat dinner in a nearby restaurant but then the only open establishment is Jollibee, same thing that happened in Bais City. Hahaha! (Meal-Php364). It’s good that we had free breakfast in the hotel so we saved time since we will only be exploring the city half of the day. We left our bags in the hotel so it’s easy for us to navigate the city. We noticed there were no signages in front of the jeepneys but on its sides. So before we hop in we asked the driver first if his trip is heading to The Ruins. The driver automatically dropped us to tricycle terminal in getting to our first destination (fronting Pepsi Cola plant). It was a twenty-minute ride and then we boarded a tricycle in getting to the Ruins. Fare is Php300 for two-way ride. The Ruins can be well visited during morning and late in the afternoon until its closing time (8:00 pm) because it is well lighted at night. 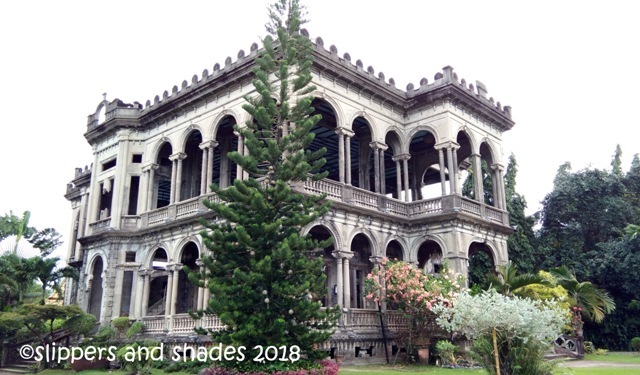 The remnants of the burned ancestral home mansion and the story behind it are the highlights when visiting The Ruins, the most photographed tourist spot in Bacolod City. 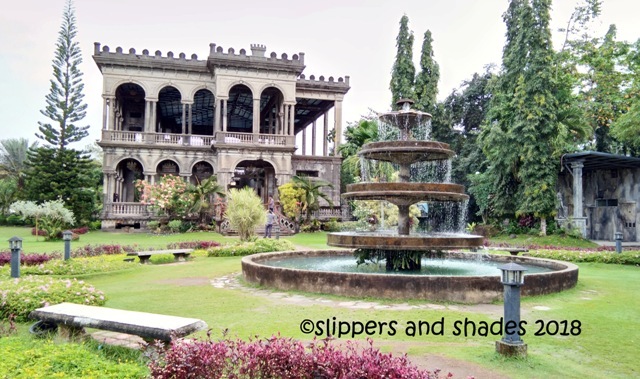 Also known as “Taj Mahal of the the Philippines,” this mansion house was built by the wealthy Don Mariano Ledesma Lacson in loving memory of his wife, Maria Braga, a Portuguese from Macau. The mansion with its Italianate architecture was set fire by the guerrilla fighters during World War II to prevent the Japanese forces from using it as their headquarters. Upon entering the mansion, we were greeted by the main structure which was big and proudly standing still. Near the entrance were picture frames, clippings hanging on walls and some important memorabilia worthy to look at. 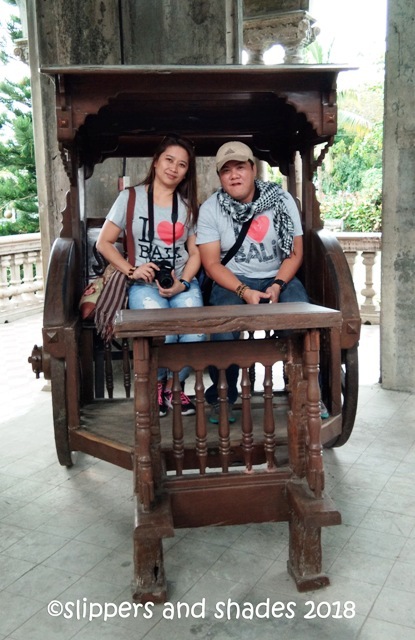 In one corner, there was a kalesa (horse-drawn carriage) a beautiful backdrop for photo ops. Coming from a jeepney ride (with signboard “Bata”) from The Ruins we alighted at Starbucks Coffee to buy my hubby’s collector’s item, the Starbucks Icon Tumbler. 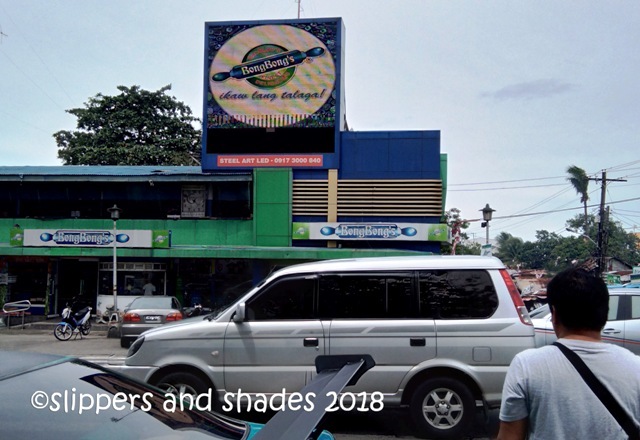 Unfortunately, there’s no available stock in this branch so we just enjoyed sipping our favorite coffee and later headed to our next destination. Starbucks Coffee Bacolod is located in Lacson Street corner 18th Street. This coffee shop is easy to find as it is along the main road. From here, we started our exciting foot navigation. The Capitol Park and Lagoon is one of the notable places to visit in Bacolod. This is easy to find as it is along the main road. 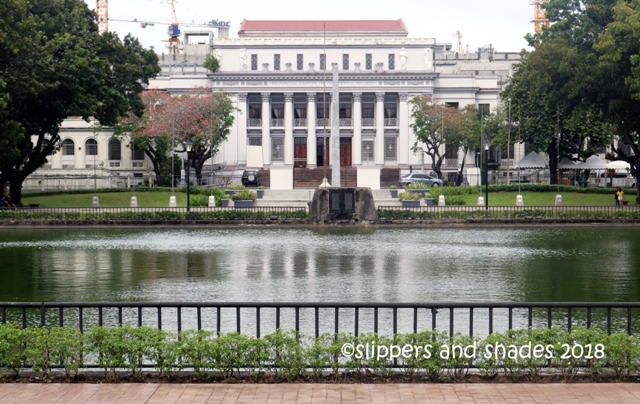 Its main landmark is the Provincial Capitol Building, the official seat of the governor of the province. The park is perfect for families or group of friends who would like to go on picnics, jogging, zumba session, school dance rehearsals, taichi exercises, feeding tilapia in the lagoon or simply by walking. There are several good spots for photo ops in the park like the lagoon, the golden carabao being pulled by a man and another being reared by a woman. Located right across the Bacolod Plaza is the imposing religious tower, the San Sebastian Cathedral. It is named in honor of San Sebastian, commonly known in the Philippines as San Sebastian. 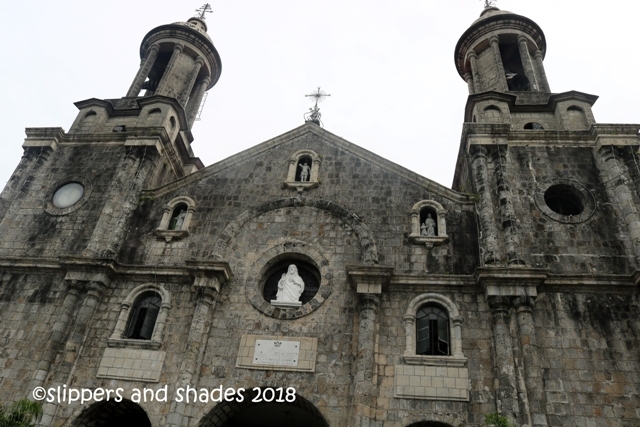 The facade of the church reminded me of the many churches I visited in Iloilo. 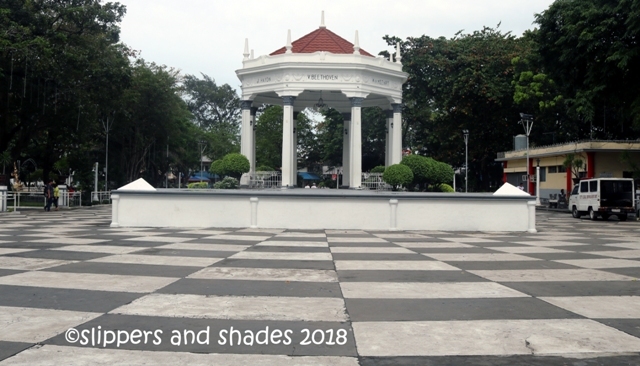 Another notable place to visit in Bacolod is the Bacolod Public Plaza which is found in the center of downtown area. During Masskara Festival (an annual festival with highlights held every fourth Sunday of October) the plaza serves as the final destination of the street dance competition. The plaza is a trapezoidal park with beautiful rectangular and square-patterned mosaic of the stone floor paving the whole area. It has four fountains and at the center is the Pavilion where its sides are inscribed the four classical music composers Beethoven, Wagner, Haydn and Mozar. This is used as bandstand during concerts and events. After walking and enjoying the sights, it’s time now to feast on Bacolod’s famous gastronomic delights, the original Chicken Inasal. My hubby had been to Bacolod twice and already tasted chicken inasal but still he was ecstatic to taste it and so do I. He brought me to Lion’s Park Grill Haus, an open-air restaurant near Bacolod Public Plaza and is just across SM City Bacolod. 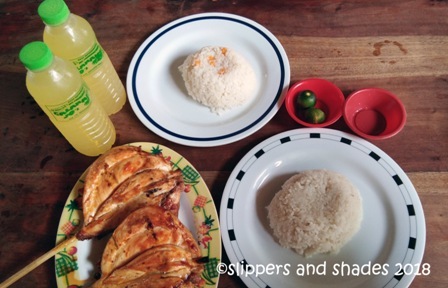 Lion’s Park serves inasal dishes at affordable price. We ordered pecho (Php80), garlic fried rice (Php22) and bottled calamansi juice (Php35). It took around twenty minutes before our food was served. But the chicken had saved the day! There’s no need to dip it in soy sauce and calamansi as it was so juicy and flavorful. It was grilled just right. We will not leave Bacolod without bringing home pasalubong to our loved ones, friends and colleagues. We head off to Bongbong’s, the number one pasalubong center in the region and bought piaya, barquillos and biscocho. I also bought t-shirts for my mother, for me and for my daughter (Php280 each). Buy your pasalubong goodies here because prices are much higher in the airport. Souvenir items are much cheaper outside so we bought key chains (Php35) and ref magnets (Php50) in street vendors just outside Bongbong’s. Our room (air-conditioned Standard Room) has two single beds, own bathroom, closet, long table for our stuff, cable TV and toiletries. This was the best hotel we stayed in Negros Island because of the window view, cooling temperature and fast WI-FI connection. And there’s the free breakfast for two. Rate – Php1,250. We checked out at around 1:30 pm. We availed of the shuttle van service being offered by the hotel in getting to the airport (P150/pax). It was so convenient and fast. I suggest you start your tour to The Ruins. 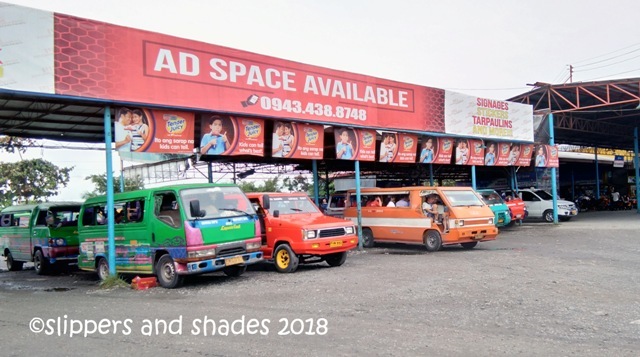 From Bacolod City take a jeepney ride (Bata-Libertad) and ask the driver to drop you at the tricycle terminal in front of Pepsi Cola plant. Two-way fare for the tricycle is Php300. After touring The Ruins, you will go back to the terminal. From there, cross the main road and you will see the jeepney terminal in getting to Capitol Park and Lagoon. From there, start roaming around. 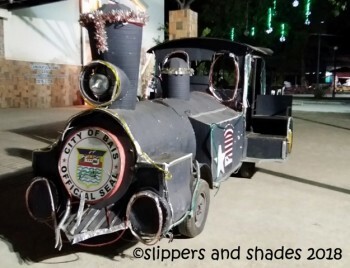 Bacolod City is the entry point to Negros Occidental. By air (Philippine Airlines and Cebu Pacific Airways), it is 45 minutes from Manila. From the airport (Silay Airport) board a shuttle van in getting to the city proper. Our Negros Island should had been more fulfilling if everything falls into place. 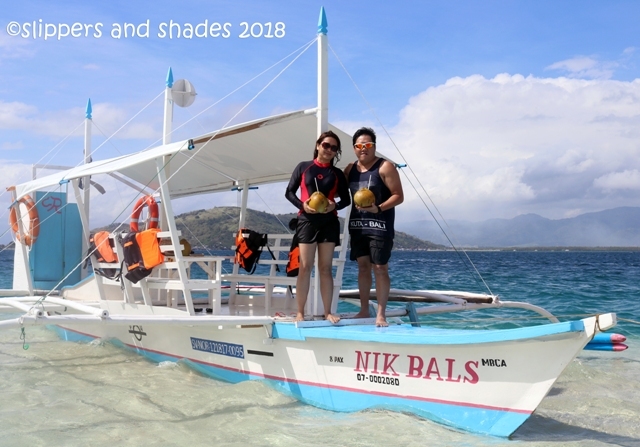 But though we missed out seeing the glorious sandbar in Manjuyod, the beauty of Lakawon Island, the Heritage Houses in Silay and we embarked on a long and tiring road trip, still, this vacation is a momentous one. For a traveler like me, it’s not only the place that will make a trip worthy but also the people I shared the experience that made this one extra special. This entry was posted in Adventure, Archive, Articles, Bacolod City, Bais City, Negros Occidental, Philippine Beaches, Philippine Restaurants, Philippines, Phillippine Food, Sipalay City, Travel, Vacation and tagged adventure, Bacolod Public Plaza, Bacolod-Sipalay Airport, Bais City, Bongbong's, Canibol Wharf, Capitol Park and Lagoon, Casa Sandoval, Ceres Liner-South Terminal, Food, Lion's Park and Grills Haus, Manjuyod White Sandbar, nature, Outdoors, people, Perth Paradise Resort, Provincial Capitol Building, recreations, Sealey's Inn, Starbucks Coffee Bacolod, Sugar Beach, Tamera Plaza Inn, The Ruins, Tinagong Dagat, transportation, vacation by shadesandslippers. Bookmark the permalink.